In honor of our centennial celebration, KCU will plant 100 trees on and around campus in our Northeast Neighborhood during 2016. 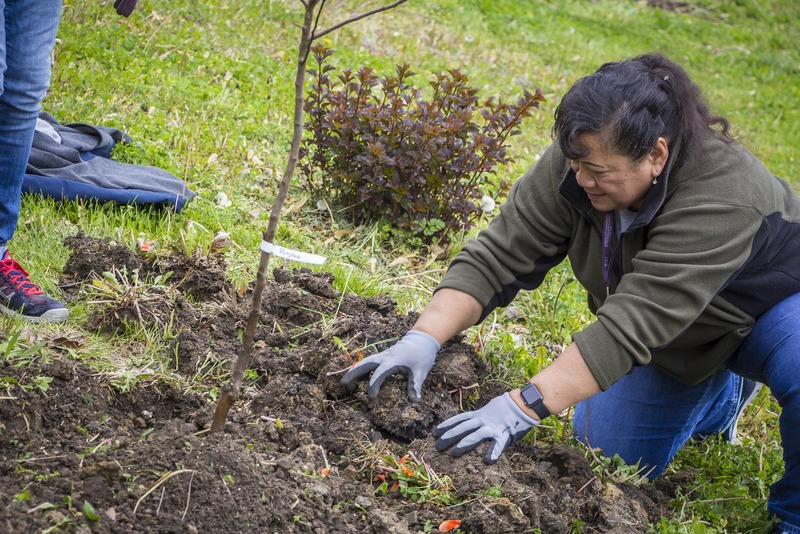 To kick off this initiative, KCU students, faculty and staff, alongside representatives from Pendleton Heights and the Giving Grove, planted paw paw, jujube, pear, apple and cherry trees in the Pendleton Heights Neighborhood Orchard from 9 a.m. to noon on April 22nd, Earth Day. Check out the recent article in the Northeast News and the story on KSHB TV. 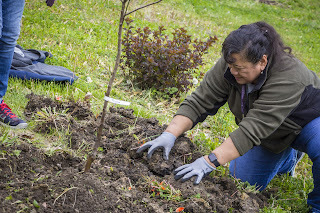 Following the Earth Day planting, KCU partnered with fourth-graders from Scuola Vita Nuova on April 28th to plant European pear, dwarf apple, cherry and fig trees in KCU's community garden. Each year, KCU's community garden provides more than 1,000 pounds of fresh produce to the Della Lamb food pantry, which serves local families. Once in full production, it's estimated the 37 trees planted thus far will alone yield an additional 9,800 pounds of fresh food annually for our neighborhood!